RONKONKOMA, Long Island (WABC) -- Police say a Long Island pizzeria employee has been arrested for allegedly selling cocaine on the premises. 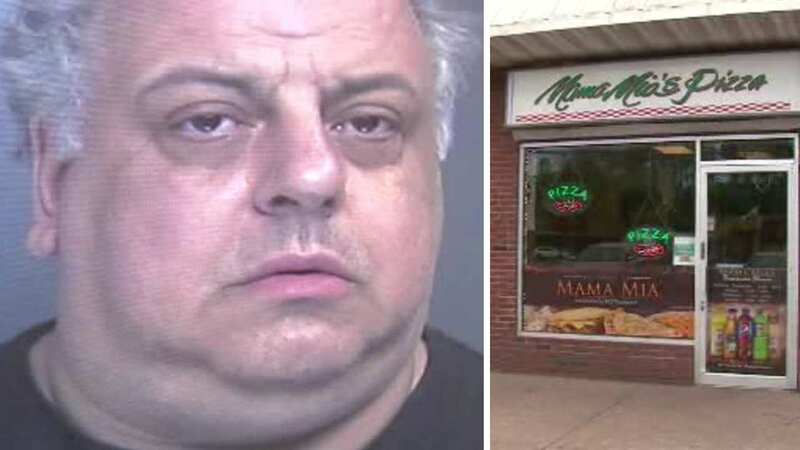 Officials say 54-year-old Placido Buscemi made his sales in the back parking lot of Mama Mia Pizzeria in Ronkonkoma. Police say Buscemi would sell cocaine while on his shift. "I would hear the music. He would be sleeping in his car in the back. I didn't know what was going on. He would come in here get a cup of coffee, say, 'Do you want a slice of pizza?' But never knew what was going on," said Diana Ridgley, works next door to pizza shop. This has all come as a horrible surprise to the pizza shop's owner who prides herself on running a family establishment and has for 20 years. "As a mother she's devastated. She has three young boys. In this community, the last thing she would ever want to do is leave this business in these sort of hands. She's cooperating with police," said Steven Cacciola, owner's attorney. Police also arrested Buscemi's stepson Noumba Acosta. The say they executed a search warrant at their house in Bay Shore and uncovered in Acosta's room $115,000 in cash, a loaded rifle and tons of cocaine. "We recovered 750 grams of cocaine, that has a street value of $45,000," said Commissioner Timothy Sini, Suffolk County Police Department. "This was result of great work done by our detectives in the Suffolk County Police Department." Police aren't saying how they found out Buscemi was allegedly doing this. They say they're investigating how long it had been going on for.